Marvel Studios has recruited Christopher Yost and Craig Kyle to write the third chapter in Thor's theatrical saga. Marvel Studios currently has its hands full with Guardians of the Galaxy and Ant-Man, but this doesn't mean that Thor is taking a vacation. Right now, the hammer-swinging deity is slated to appear in Avengers: Age of Ultron, but Hollywood rumblings about a third Thor movie are already starting to surface. Today, the folks at Variety are reporting that Christopher Yost and Craig Kyle have been drafted to write Thor 3. Yost was the primary writer on Thor's last theatrical outing, The Dark World, and frequently writes comics and cartoons for Marvel and DC. Craig Kyle, on the other hand, worked as a producer on the last two Thor movies, but has co-written several animated features and Marvel-published comics. Yost and Kyle have a history of collaboration. Recently the duo wrote the script for Hulk Vs, a direct-to-video animated release from Marvel and Lionsgate. Plus, they co-wrote a slew of Wolverine and the X-Men episodes back in 2009. 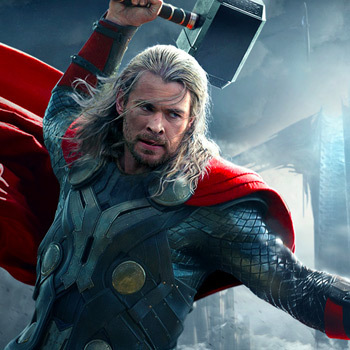 Aside from Yost and Kyle, we don't know much about Marvel's plans for Thor 3. Right now, the studio's calendar is sufficiently full, so 2015 is probably the earliest that we can expect Thor's next solo adventure to hit the big screen.